Ducati 1299 Superleggera is the first sport bike produced in a limited run of 500 pieces that shifted for the first time from traditional aluminum to the carbon fiber solutions used in the aerospace sector. It has been used for the production of structural parts such as the monocoque frame, the seat frame, the single sided swingarm and the rims. For the new Ducati 1299 Superleggera, Riba has produced structural components (like the single sided swingarm and the seat frame), aesthetic components (like the rear tail) and heat resistance parts (like the heat shield in the front part of the swingarm, a solution never adopted before except for Moto GP). The carbon fiber single-sided swingarm made by Riba Composites is the most complicated unit of this new motorbike: a single-sided solution is harder to design than a double one because it has many complications concerning the method of construction. Ducati doesn't even use the single-sided swingarm in MotoGP, where they run with a carbon fork. This was the most complicated component also considering the several aluminium/carbon interfaces that were faced by using sophisticated techniques. The production of the swingarm, the most complicated component of the Ducati 1299 Superleggera, had to take in consideration two important aspects: the weight target and the Ducati endurance tests. 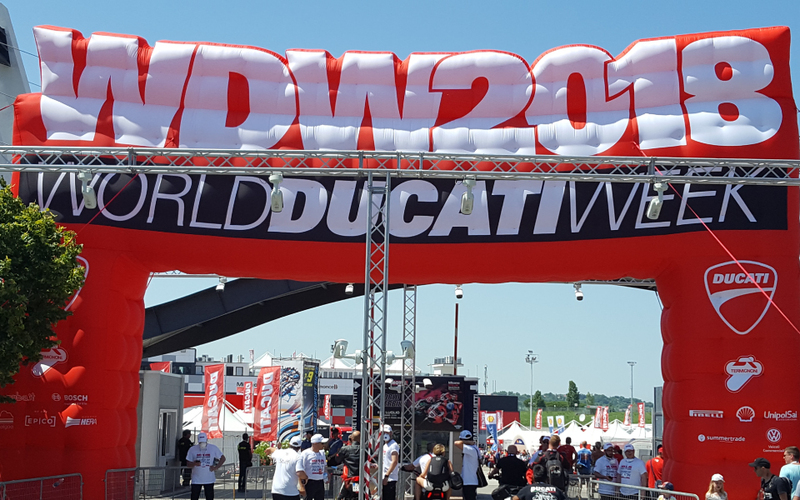 One of the most important and challenging aspects of this project was that Ducati wanted the aesthetic surface to satisfy structural strenght as well. For this reason, we used a T800 (High Modulus) carbon fiber, with 200 gram plain weave fabric. 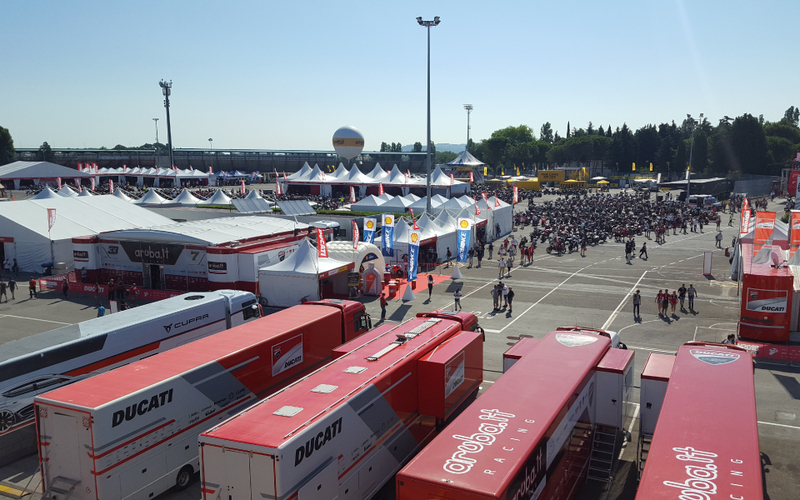 Another Ducati requirement was to guarantee that the component, once installed on the bike, had a glass transition temperature target of at least 170°C; Riba tested different product care cycles in order to ensure both strength at high operating temperatures and high aesthetic appeal. Another complicated aspect of the project were the external aluminum inserts: Riba developed a production process that allowed nesting these external inserts inside the composite material, without compromising its strength and endurance. To be noted that this swingarm is the only model currently in the market with a double strengthening frame for a higher torsional strength. This was possible because Riba designed a molding kit with very complex shapes providing the best result to date. 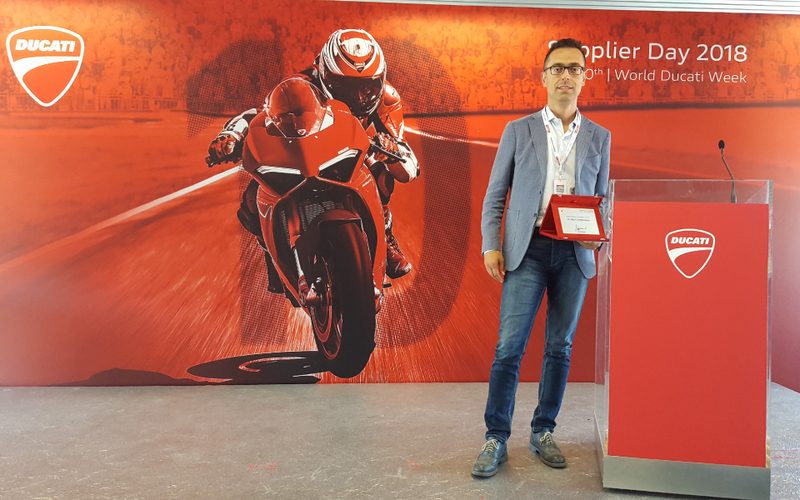 The Company maximized the use of specific CAM softwares to optimize the geometries of each carbon layer and sharing all these information with Ducati Calculation Office. 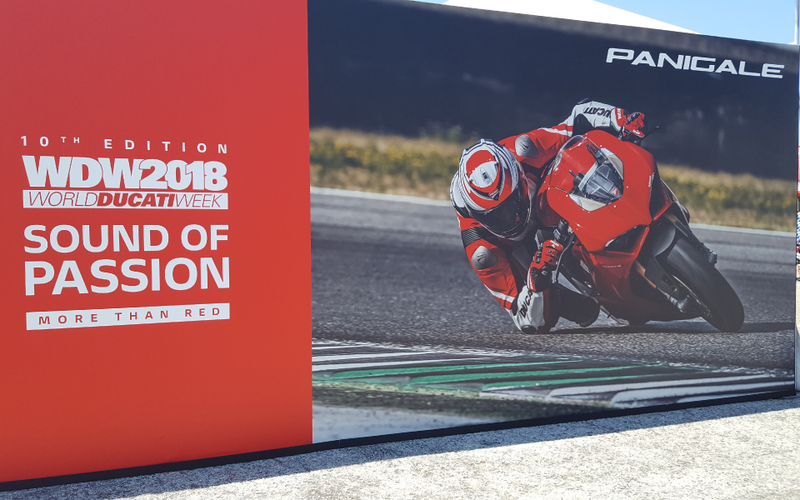 Riba Composites has taken part in the 2018 World Ducati Week event, held in the "Marco Simoncelli" Misano World Circuit from Friday, 20th to Sunday, 22nd July 2018 to celebrate and share passion and enthusiasm for Ducati. 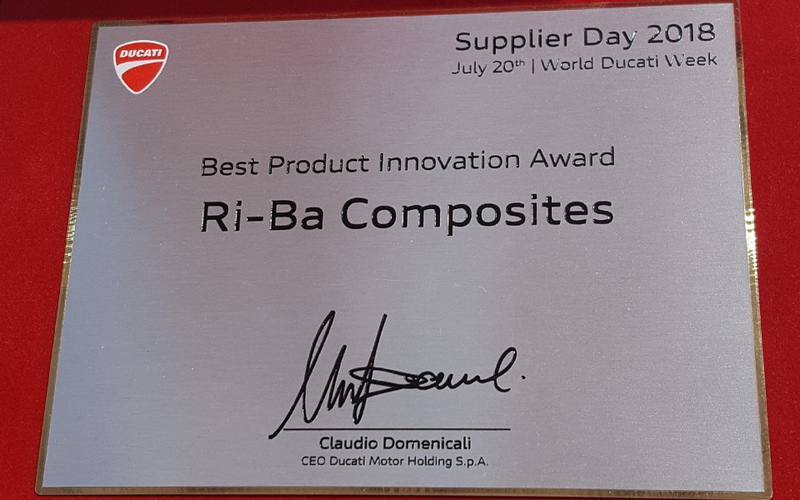 During the event Riba Composites has been awarded the 2018 Best Product Innovation Award, the prestigious award Ducati assigns to the most innovative supplier of the year. RIBA Composites can take up any project requiring the design and production of carbon components, both structural and/or aesthetic, guaranteeing the highest quality processes for both mass and medium sized productions. Get in touch with our sales representative for the Automotive Division.